May 27, 2016 – Nearly as deep as the Hubble Ultra Deep Field, which contains approximately 10,000 galaxies, this incredible image from the Hubble Space Telescope reveals thousands of colorful galaxies in the constellation of Leo (The Lion). This vibrant view of the early universe was captured as part of the Frontier Fields campaign, which aims to investigate galaxy clusters in more detail than ever before, and to explore some of the most distant galaxies in the universe. MACS J1149.5+2223 is a galaxy cluster located approximately five billion light-years away. In 2012, it helped astronomers uncover one of the most distant galaxies ever discovered. Light from the young galaxy, magnified 15 times by the galaxy cluster, first shone when our 13.7-billion-year-old universe was a mere 500 million years old — just 3.6 percent of its current age! In 2014 and 2015, MACS J1149.5+2223 was observed as part of the Frontier Fields campaign. 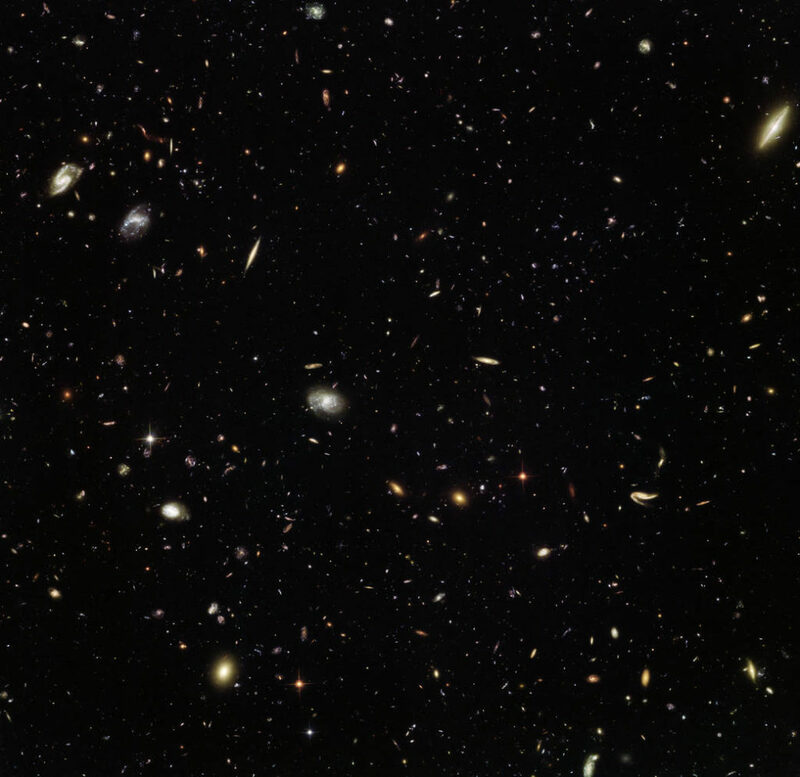 While one of Hubble’s cameras observed the galaxy cluster itself, another simultaneously captured the spectacular scene pictured above, of an “unremarkable” patch of space. Referred to as a parallel field, this image — when compared to other similar fields — will help astronomers understand how the universe looks in different directions.